Ladies and gentleman, my name is Kristen. Rosario. And I am your host for the CAVE OF TRIALS! 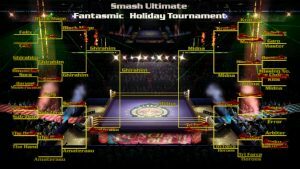 Now let’s take a look at the bracket to see who are our two competitors are for the SMASH ULTIMATE FANTASMIC HOLIDAY TOURNAMENT Grand Finals! So hear we go. Not only is this the Grand Finals match in the SMASH ULTIMATE FANTASMIC HOLIDAY TOURNAMENT, but it is also the #1 Contender’s Match for the NEW ERA Cave of Trials Championship! Who gets one step closer to glory?! Before we wrap up for the week, I have a bit of news in regards to next week’s matches. That’s right, I said matches as we will be tackling the first ever Cave of Trials Royal Rumble Match! 30 competitors from across the Zelda Universe will battle it out for a future championship opportunity! If you want to know who will be competing, you’ll just have to wait and find out! That’s it for this week! Who will win? Who will prevail? Who will be moving forward into a Championship Match against Urbosa? 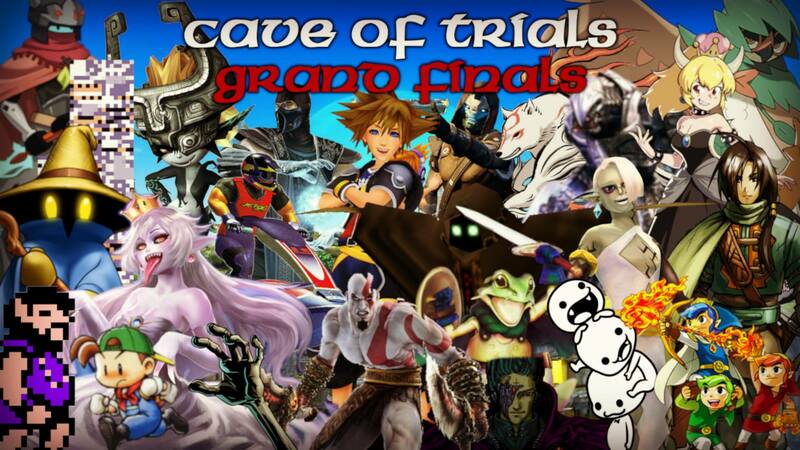 Who will be competing in the first ever Cave of Trials Royal Rumble Match? Tune in next week to find out!